Music is a central part of all our lives. From the “I must listen to music to revise,” to the dancing in the streets on the way to a lecture, we simply could not be without it. But when it comes to mental health, and specifically issues relating to anxiety, we forget it as one of man’s best friends. From my personal experience though, it seems that music can be one of the most helpful tools to helping cope with mental health problems. At some of the darkest times in my life, music has often been my saviour. 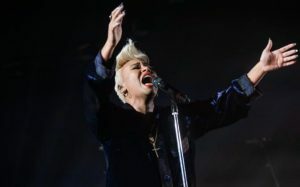 A perfect example for me is Emile Sandé’s most recent album Long Live The Angels. This eclectic mix of soul and passion resonates with me in a quasi-spiritual way, but also in a way which allows me to appreciate the beauty of the world and lift myself from my troubles and worries. Sandé herself admits that her music comes from a place of darkness; from a time where she did not think she was good enough and felt like she needed to hide away. In her lyrics, she sings about using music as a medium of escape and calm. In ‘Breathing Underwater’, she sings with a sense of complete truth: “I believe in miracles/ Because it’s a miracle I’m here/ Guess you could call me spiritual/ Because physical is fear”. Every time I listen to this, I realise not only that anxiety and worry can be overcome, but that music has a special power which allows us to access this sense of overcoming as we connect to the lyrics and emotions of others. In a weird way, I suppose, music forms a sense of community which suspends judgement and allows us to feel. Naturally, it is not just Sandé that achieves this connection between the listener, the artist and the music, and part of the joy is that we all identify with different artists and styles. Others may find this comfort in the powerhouse emotions of Adele, the huskiness of Rag’n’Bone Man or the more abstract vocals of Radiohead. What matters is that we all have that music, and have that connection, which allows to escape. But it’s not just escape: it’s not like we listen to an album, deny our stresses, and then return to step one when the speakers are turned off. Rather, I believe that music is a form of medication when it comes to anxiety and stress, and it certainly has been an effective medication for me. It begins to allow us to break down the barriers between ourselves and whatever condition we may suffer from: to see that there is always hope and things are not quite as dismal as we may believe. Even when the speakers stop then, the power of music still aids our fight against mental health. Evidence also supports the experience I have had too. A recent report, published by Canterbury Christ Church University, showed a good positive correlation between listening and singing along to music, and increases in mental wellbeing. To quote the leading Clift and Morrison survey, on the topic of ‘singing along and appreciating music’ (2011): “there is powerful evidence linking promoting recovery and maintaining wellbeing among people with a history of enduring mental health challenges”. This has then been supported by other studies analysing the effect of choral singing and listening to a range of classical and soul music. The studies converge on the same reality: that music seems to have a unique power, even if this has not yet quite been identified, which aids us in battling against the challenges of stress, anxiety and other mental health conditions. What is even better is that we can connect to music through the artists’ openness about their own experiences. Lady Gaga, for example, says that her songs are about the freedom from the negativity of mental health, placed to teach kids that ‘the depth that they feel as human beings is normal’. 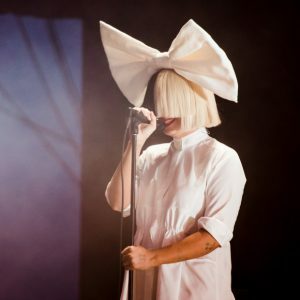 A whole range of other artists portray the same message, but perhaps none more powerfully than Sia who uses her music, such as ‘Chandelier’ and ‘Big Girls Cry’ to explore the trauma of suffering with mental health and provide a ‘way out’ offering up music as an alternative to self-doubt and harm. Sia herself says that music helped inspire her in her mental battle with drugs and alcohol and that music became a way to ‘take care of [her]own sanity and serenity and stuff’. Her music is now a way for others to do the same. Music may thus be even more important than we ever realised, above and beyond its daily presence in our lives. It actually can become one of the best ways to combat mental health issues as we connect to the words, the message and the artists themselves, while gaining a sense of strength and community from both listening and singing along if alone in our room, or in a massive choir. It’s time to realise that music is medication!